My goal is to produce a realistic sounding recording. I place the microphone cluster near the "best seat in the house" to capture the most natural sound possible. This is called the "point-source" or "minimalist" technique. The microphones "hear" and capture just what you would hear from the same seat . . . sort of . . .
For surround sound recording sessions, I may use five microphones clustered on one stand strategically placed near that "best seat in the house." For a more spacious sound, I may use an augmented Decca Tree arrangement. Whatever the microphone arrangement, I record each microphone's signal as a separate track so the aural balance can be adjusted later, if necessary. I then code the data from the surround sound session so it can be reproduced as a natural musical experience in 5.1 Surround Sound. I also produce a Stereo version of the session. For stereo-only sessions, I use a pair of cardioid microphones in the ORTF or XY configuration, a pair of "figure-of-eights" as a Blumlein Pair or a pair of omni directional microphones either as a spaced pair or with a Jecklin disk. When appropriate, I use the Blumlein Mid-Side technique or a Decca Tree. The specific session dictates the appropriate configuration. Whichever configuration is dictated by the acoustics of the venue and the expectations of the artist, the placement of the microphones is critical. While the "best seat in the house" placement is a good starting point, unmodified, it quite often produces less than desirable recorded results. When we sit in attendance at a concert, our brains process and filter the sounds heard by our ears as it relates to the visual and visceral sensations also present. That brain procesing is neccessary to make sense of the aural cacophony that bombards us. Without the context clues available by actually being there, our brain has no guidance how to sort out what it is receiving from a recording of a concert. It is important to record only the information necessary to convey the music and not too much of the distractions. The process of discovering just the right spot for the microphones may take quite some time. The better the initial recording, the less "messing about" needs to be done later and the better the finished product will be. It is critically important to take the time necessary to properly position the microphones before punching the "record" button. Please allow enough time in your session to accommodate this process. Mixing - Be Careful !! Please be aware that some mobile recording engineers have impressive looking equipment with tall mic stands, complex mixers and lots of wires, but they capture a final live mix of the performance to the compressed format of a minidisk or even to a (gasp!) cassette tape. While these formats may be acceptable to some for final listening, they are anything but professional in quality and provide no flexibility for post-recording editing. 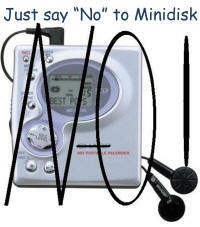 Your audio recording should never be mixed down on the spot even to a CD at full CD resolution. A "real-time" mixdown is always at least one-step behind the musical changes.Your music should be recorded to a digital audio workstation with each microphone allotted its own recording track. Post-performance editing and mastering not only includes the balance or "mix," but also compression, reverb, and other effects when and if needed and only on the microphone tracks that may need it. Different portions of your performance may need to be mixed differently, and post-performance mixing allows us to modify the individual tracks in order to tailor your mix to your goals. It is quicker and therefore cheaper, to mix "on-the-fly"; cheaper since there is now no possibility of modifying the individual input tracks. It's as if your recording is being treated the same as a Public Address system mix for a live performance. While we may be recording that same live performance, the techniques and tools are very different for sound reinforcement and recording. Be careful not to confuse the two. Make sure you know what you are getting when you hire a recording engineer - ask questions. Know your options and the engineer's intentions before you hire someone to record your precious performance. Editing - Can you fix that? Now that the recording is "in the can" (actually on the hard disk), what's next? All recordings have some errors that should be fixed. How many and how extensive the errors are depend totally on how well you perform. The better you or your group is prepared and the more focus you place on making music, the fewer edits need to be made. Quite often, the vast majority of post-recording processing time is spent making editorial changes and corrections. The more edits, the more time and money is spent. Usually, it is the project producer who decides what edits are to be made. The producer could be an interested and knowledgeable party who "puts up the money" for the project, it could be the conductor or it could be the soloist. The important point is that the producer needs to know the music thoroughly and needs to know how to direct me to make the edits he or she wants. Mastering is that magical process where your recording is transformed from an OK sounding disk to a WOW sounding disk. The mastering process is where volume levels are made consistent (not identical) throughout the collection; where the equalization makes the recording sound like it is supposed to sound; where the dynamic range may be adjusted so the recording can be listenable; where the ambience is adjusted either to real or as far out as needed, and where the long recording session is cut into "tracks" or selections that become the different songs or movements on your CD. Mastering is the final process that makes your CD project saleable. We prefer you contact us at least 4 - 6 weeks before your performance or preferred recording date but if you are in a time crunch, call anyway. Maybe we can help. If you need to record a demo for an audition or submission deadline, please remember, the process takes about three weeks from the date of the recording until you receive your CDs. Please plan accordingly.